Ever since Brian and I went to Bali for our honeymoon a few Novembers ago, we made it a goal to travel somewhere warmer each year during the gloomiest months of the winter. With the non-stop Vancouver rain and both of us having some form of seasonal affective disorder, we thought it’d be a great annual excuse to get out of the city and get refreshed while spending quality time together. This past winter we spent five nights in LA, a city that’s close enough to not have to take too much time off for, but also far away enough to escape and get some much needed sun. This post has been a long time coming, but I’ve finally come around to gathering some of my favourite highlights from the trip. And, since I’m always curious about what people pack to wear on vacation, I’m also sharing a few essentials I packed into my carry-on at the end of the post. Enjoy! 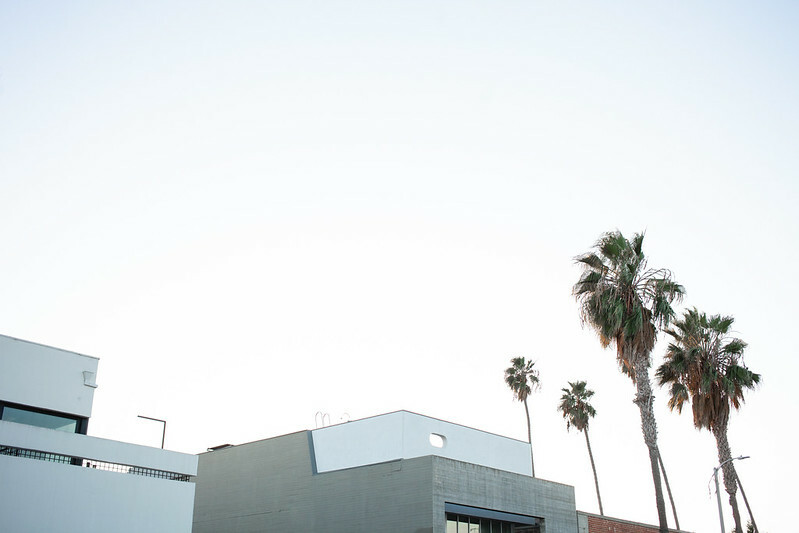 Abbot Kinney Blvd | This quintessential LA street is the kind of place I’d probably frequent on a day off if I lived in the city. 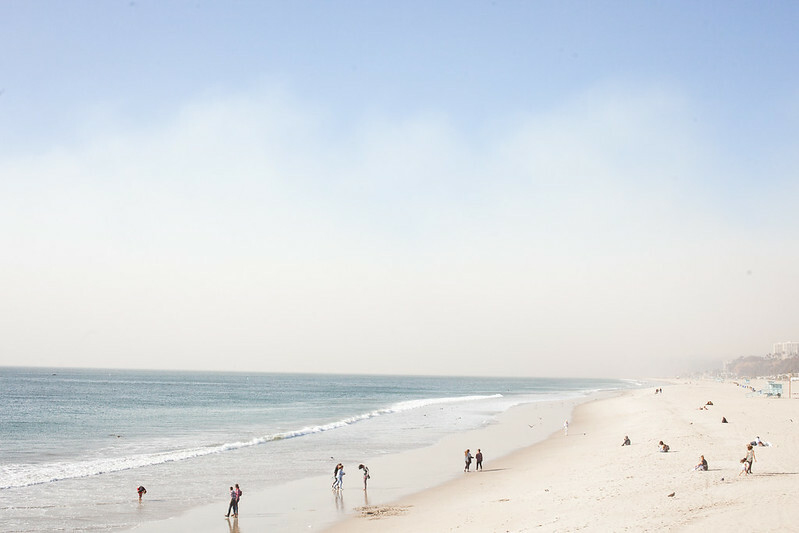 It’s a mix of high end, contemporary designers with a good amount of independent local shops, and while the neighbourhood is buzzing it somehow has a small, intimate feel to it. It’s also got some great coffee shops and restaurants, and I was super excited to find Cuyana, one of my long time favourite brands here! Arts District | We only had a few quick hours in the Arts District before we had to fly home, but I could’ve easily spent an entire day here getting lost among the galleries and shops. If I make it back to LA this will be on the priority list! 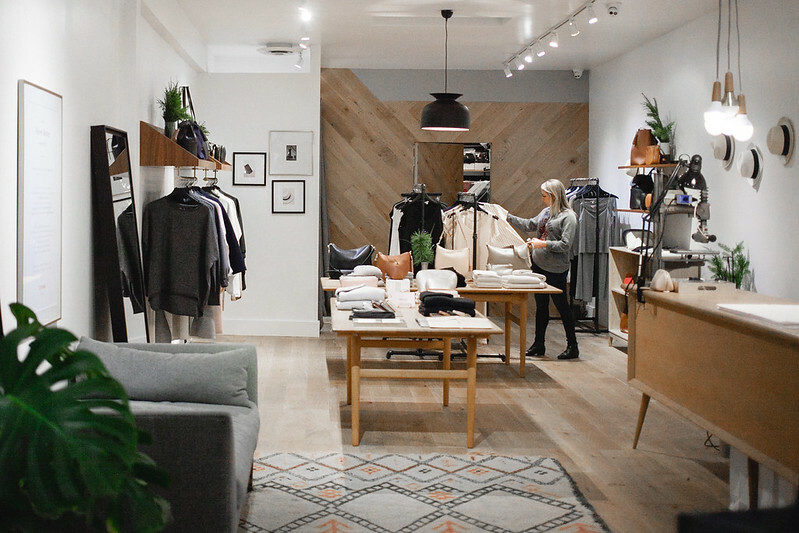 In a short amount of time, we had coffee at Blacktop, a hotdog at Wurstküche, and browsed cool shops like Alchemy Works and Apolis, who happened to be having a sample sale on the day. 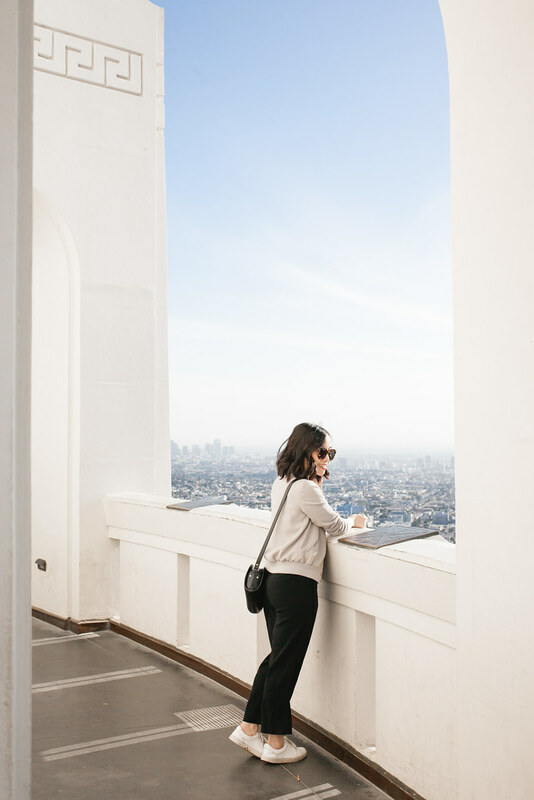 The Boutiques (in general) | There are so many great boutiques in LA, and my travel companions graciously drove with me to a few stores that I’d scoped out on Instagram beforehand. We didn’t even scratch the surface, but some of my favourites included County Ltd., Tortoise General Store, and I also liked visiting all of the Crossroads Trading stores, since we don’t have resale shops that are nearly as good here in Vancouver. honey hi | Breakfast is my favourite meal to dine out for, but it’s not an extravagance we take part in a lot here at home. One of my favourite parts of being on vacation is getting to try out new breakfast place each day. 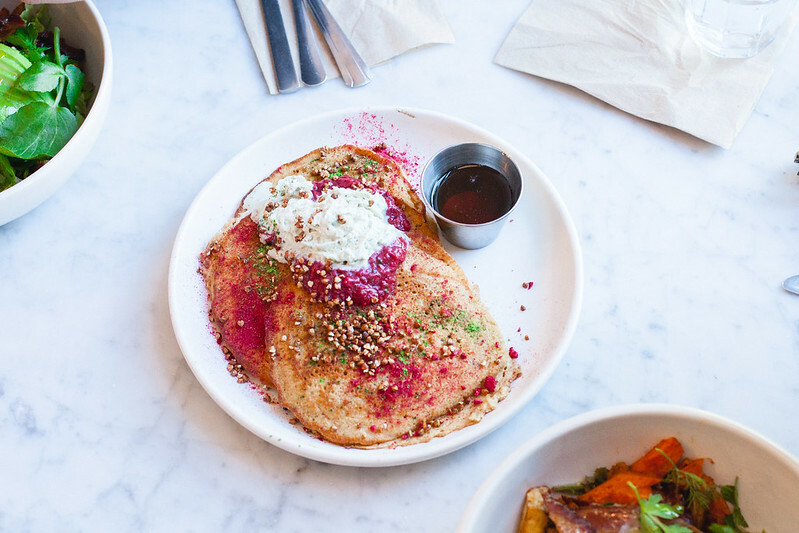 We stumbled upon honey hi because we stayed in Echo Park, and I loved the breakfast bowl so much here I came back for it twice. Imagine my happiness when I found the recipe online here after coming home! Uovo | This is amazingly simple, good, traditional pasta that I still think about often. It’s uncomplicated and fresh, and because the kitchen prepares just one dish at a time you have to be patient for your food. It’s more than worth the wait, and since our visit it’s essentially become our standard for Italian food – we haven’t been able to find anything quite like it in Vancouver. Tacos Tumbras a Tomas | I knew I had to eat some good tacos while in LA, and this was a lucky find in Grand Central Market after a morning at the Broad museum. One $3 order of the tender, juicy carnitas was enough to feed two people – definitely delicious food at an incredible value. Rossoblu | We actually went to LA with friends, but on the last night Brian and I wanted to go out on a date and we found ourselves here. I believe it opened last year, so it’s a newer restaurant and it was memorable to me because the space was energetic yet romantic, the service was excellent, and food was unpretentious and delicious. 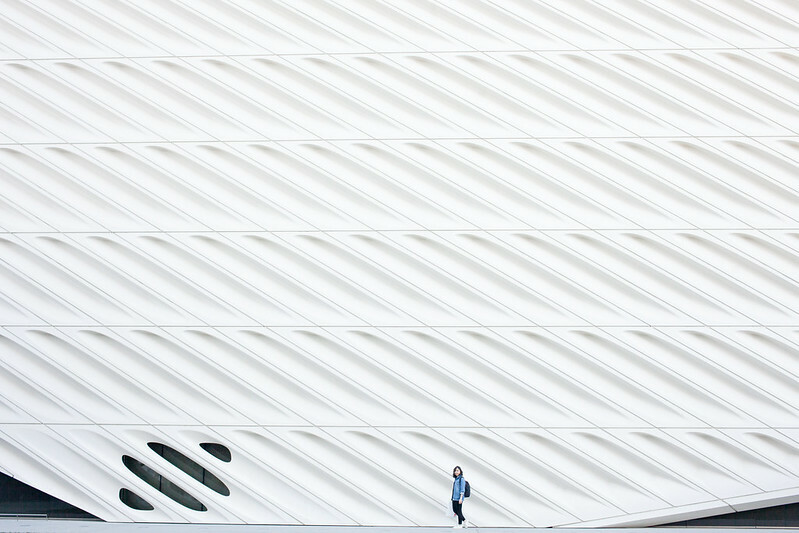 The Broad | Though we’d initially lined up here to see Yayoi Kusama’s Infinity Mirrors, I personally enjoyed the exhibits upstairs just as much, if not more. The building itself is stunning, and is the perfect place to house the contemporary art. I’d still recommend seeing the Infinity Mirrors, but keep in mind that you’ll have to get there early, line up for quite a few hours and that each room has a 30 second limit (which, although understandable, isn’t quite the ideal set up for pondering eternity in my opinion). 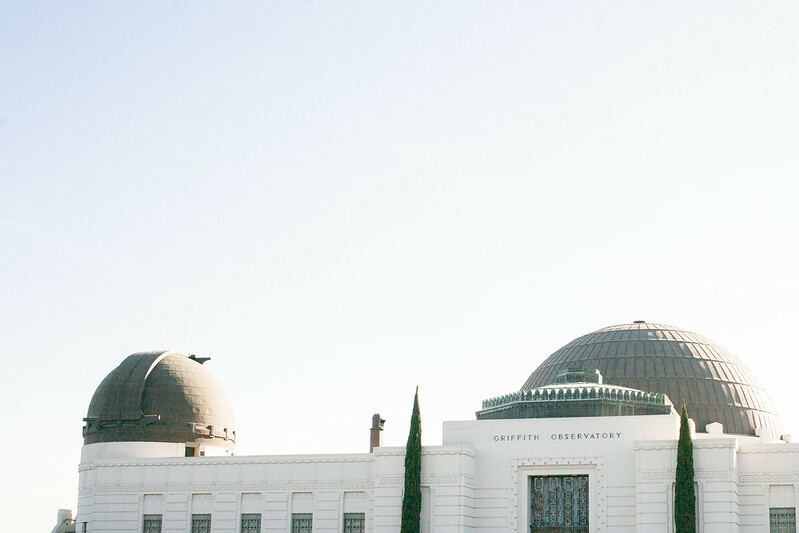 Griffith Observatory | This classic tourist spot is typically where people go to see stars or a great view of the city, but I honestly just really liked the beautiful building itself. Its clean shape and thoughtful details really drew me in, and I’ve posted quite a few photos of it on my Instagram lately. The Homes (in general) | Another highlight for me was simply walking around and seeing all of the homes. 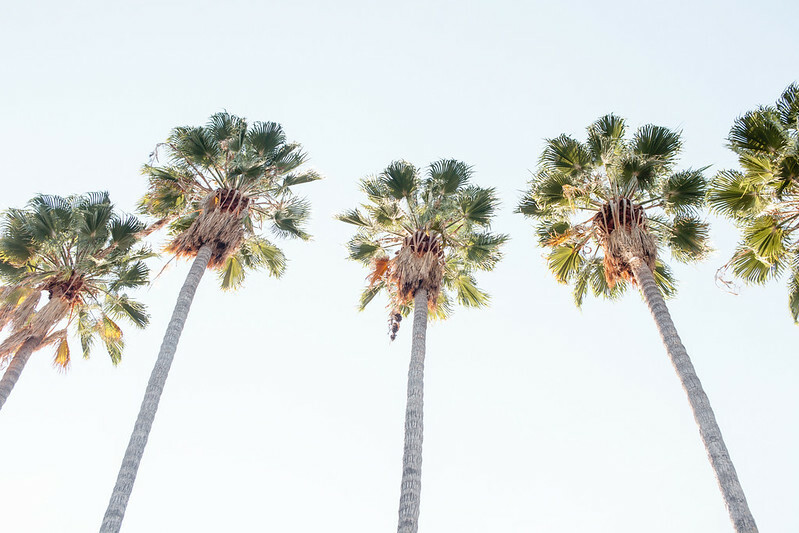 I’m not talking about the big Beverly Hills mansions here, either: my favourite abodes were the uncomplicated, small bungalows and modest one-story homes I saw all around me – I couldn’t help but wonder what life would be like living in them. AYR Denim Jacket | I’ve gotten quite a few comments about how “cool” I look in this jacket, which I’ll freely admit that I love to hear, because I rarely feel like a cool person. It’s perfectly oversized without being sloppy, and the cut and style somehow adds polish and edge all at the same time. 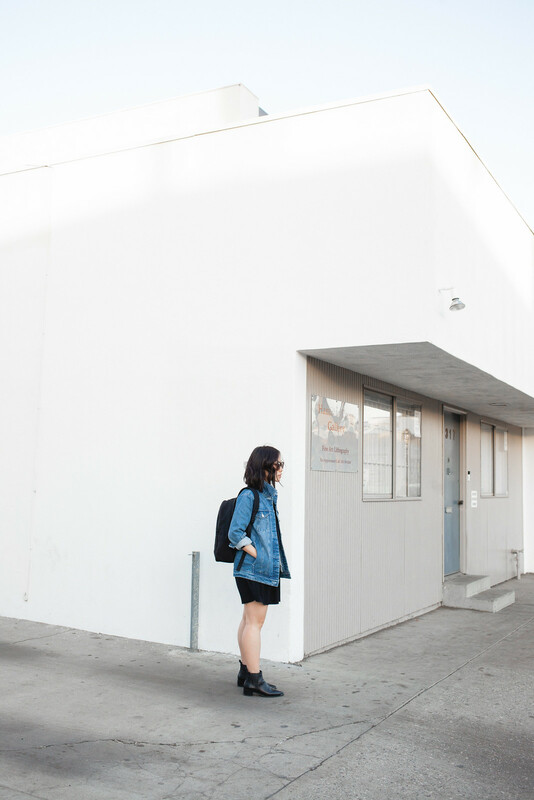 Everlane Backpack | This backpack goes with me pretty much everywhere these days, and it was perfect on our trip. It goes with absolutely everything, is lightweight, and multiple compartments mean it’s easy to keep everything organized. Frye Sneakers | I’ve worn these sneakers so much that I got a back up pair for when my first ones are worn out. I never do that, but these are just that good. I love that they’re clean, sleek, minimal, and ultra comfortable. My feet are wide and flat, and I can walk around in these all day with no issues whatsoever. Acne Jensen Booties | Since they’re heavy, I wore these booties on the plane and they were my go-to whenever I wanted to dress up a little bit while still being comfortable. The pointed toe is flattering and the pebbled leather feels luxe and durable. Karen Walker Sunglasses | Good accessories are essential while traveling, and these now-classics provided sun protection while adding a pop to the simplest of outfits. Have you been to LA? I’d love to hear what you enjoyed and what I may have missed out on! If you have any suggestions for our winter trip this year, please also share them below!